The subcontractor release form (final lien waiver) is a document that would release a contractor, vendor and/or owner of the property of a project from a lien that would have been imposed as a result of attempts to collect payment and with reasonable allowable time, failed to receive payment. 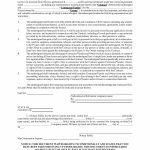 This document would provide a release, after, either negotiation has taken place and an agreement to a specific amount has been reached or the contractor/vendor and/or owner has finally satisfied the financial terms of the original agreement. 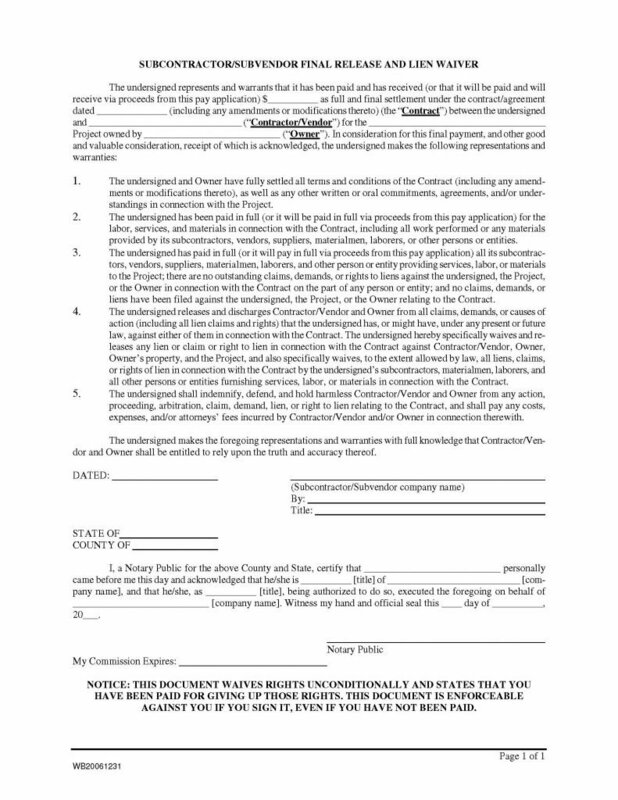 Once payment has been received by the subcontractor/subvendor and this document has been completed and signed before a notary public, the subcontractor/subvendor will have relieved the contractor/vendor and/or owner of any further responsibility to the subcontractor/subvendor and therefore the subcontractor/subvendor shall have no further interest in the property of the contractor/vendor and/or owner. The subcontractor/subvendor, must carefully review terms 1. through 5.